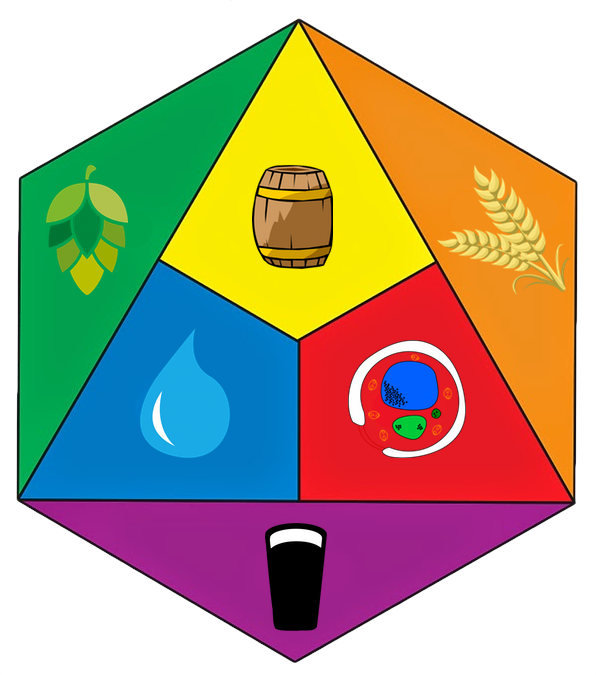 Today is the 47th birthday of Matt Brynildson, brewmaster at Firestone Walker Brewery. I’ve known Matt for some time, though I got to know him a lot better when I traveled with him to Burton-on-Trent in England to do a guest brew at Marston’s. And several years ago, we both were in Chile to judge at the Copa Cervezas de America. 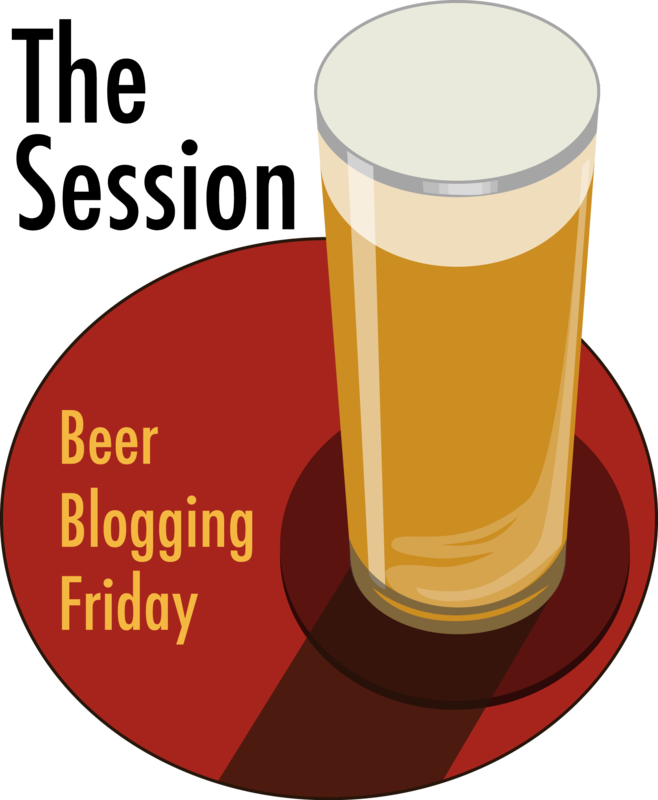 A few years, I wrote a profile of Matt for Beer Connoisseur magazine, too. 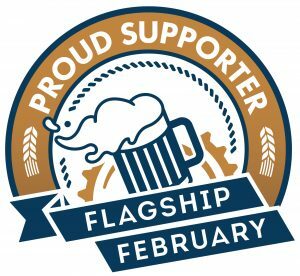 But suffice it to say that apart from being incredibly gifted as a brewer, Matt is also one of the nicest and coolest people in the industry. Join me in wishing Matt a very hoppy birthday. At Marston’s in Burton-on-Trent several years ago. 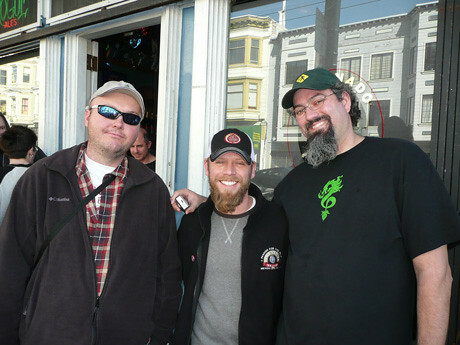 Matt (center) outside the Toronado with one of his then-assistant brewers, Jim Cibak (who’s now head brewer at Revolution Brewing) along with Sean Paxton, the Homebrew Chef enjoying the rare San Francisco winter sun. 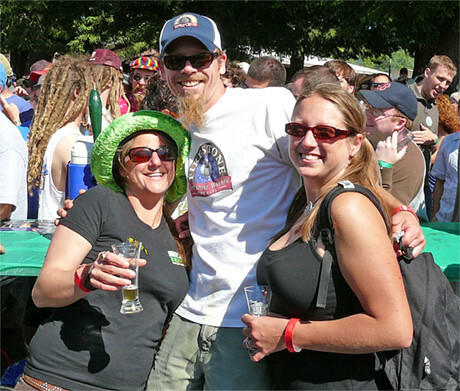 Matt bookended by Adrienne and Claudia, from 21st Amendment Brewery, at the Boonville Beer Festival in 2007. 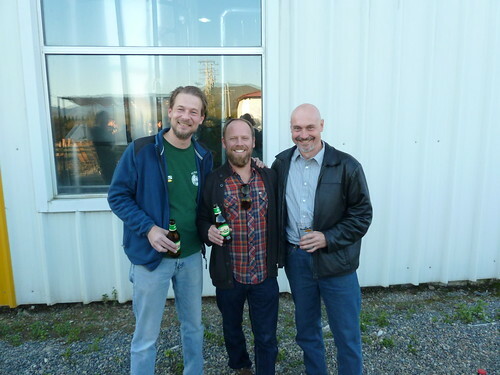 In Chile at Kross Cerveza Independiente with brewmaster Asbjorn Gerlach, Matt and Lars Larson from Trumer Brauerei. 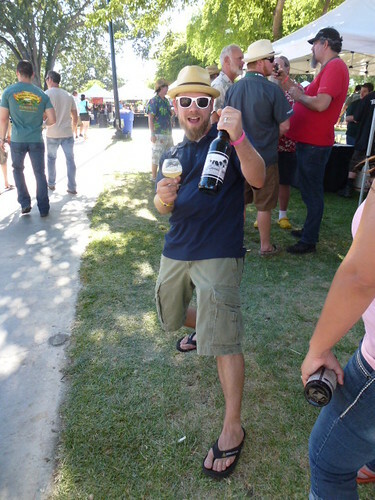 Matt at the first Firestone Walker Invitational, held four years ago. 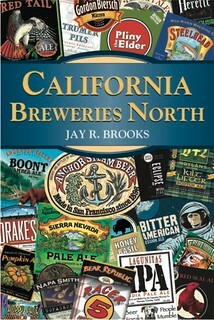 Congrats on the “session beer” case now being sold @ some Costcos – 6/ea of DBA, Velvet Merlin, 805, & 31 – YUMMY! 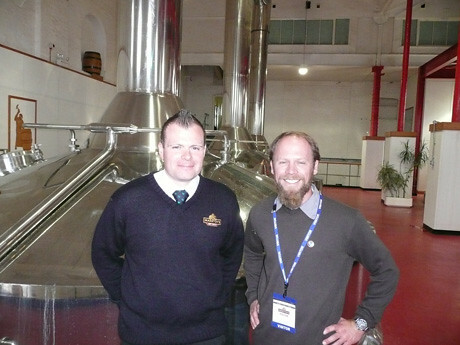 Matt makes great beer and is an all round great guy. FYI in the Toronado picture with Sean P and Matt the third person is Jim Cibak, who has gone on to become the head brewer at Revolution Brewing in IL, a nice guy as well.